The Brambles residential group homes and day support program are all located in Mathews, VA. For our families planning a tour of The Brambles, or those coming to visit a current resident, we have compiled a list of resources to help you explore the area. Mathews is the second smallest county in VA, with 214 miles of shore line on the Chesapeake Bay. There are no stoplights or big hotels to spoil the view and the town center is still historic Main Street. 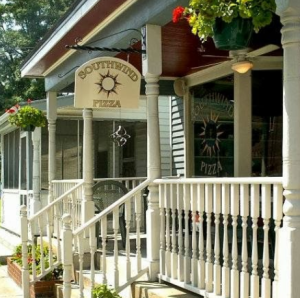 Mathews is a family oriented community rich in history, arts, fishing, boating, bicycling and more. But don’t stop in Mathews, there are many nearby areas to explore including historic Gloucester Courthouse, Kilmarnock, and Irvington. Although Mathews might feel like a world away, it is conveniently located less than two hours away from Richmond, Williamsburg, Fredericksburg and more. Gwynn’s Island and the island Museum, An island located in the Chesapeake Bay south of the mouth of the Piankatank River. It is connected to Mathews of the county by a swing bridge. Visit for a meal or spend the day fishing, kayaking or just sitting on a chair enjoying the view. New Point Comfort Lighthouse, The third oldest lighthouse on the Bay, it was commissioned in 1804 by Thomas Jefferson. 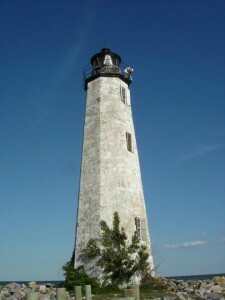 The 55-foot octagonal sandstone lighthouse sits on an island that can be reached by an kayak, boat or from the New Point Comfort Preserve Observation Walkway. Historic Routes, Take a bike ride through some of Mathew’s most historic landmarks including buildings, churches, estates, cemeteries and courthouse, circa 1795. Click for bicycle route information. Kayak the Mathews Heritage Maritime Trail, Choose a section of our 90 mile kayaking trail and see historic wharves; fish and crab packing houses; historic shipyards; marinas; tide mills; plantations and keep an eye out for fish, birds, stingrays, crabs and more. Kingston Episcopal Parish, 804.725.2175, Offering services each Wednesday and Sunday. Church dates to the mid 1600’s. Mathew’s Baptist Church, 804.725.3707, Offering two Sunday morning worship services and Sunday school for all ages. Living Waters Church, 804.725.1119, Offering Wednesday and Sunday morning services and a Sunday hospitality hour. There is much more to see and do around Mathews. See the official Visit Mathews website for maps, community events, arts and everything you need to plan your trip. Or stop by the center located in historic Sibley’s General Store on Main Street.